Speculative Faith | God's Mistake? Death is not a mistake. Death is not wrong or evil. For those who are saved, death is a gift. There are generally three Holy Grails in science fiction: the creation of artificial intelligence, faster-than-light-speed travel, and immortality. The first one might be possible one day on some level, and the other two are never going to happen. But let’s allow our imaginations to take flight for a moment and focus on immortality. 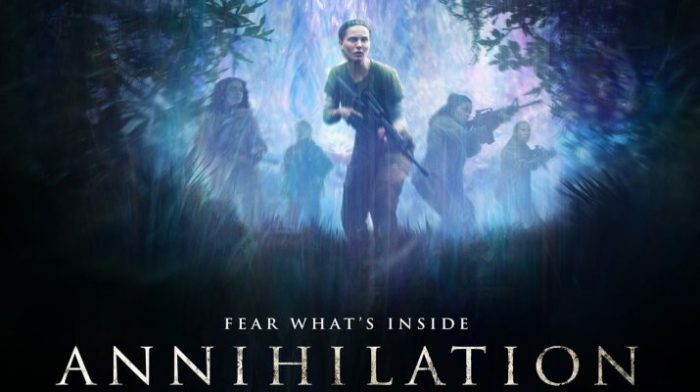 In the recent sci-fi thriller Annihilation (which I felt was an epic disappointment, by the way), Natalie Portman’s character is lying in bed with her husband discussing the nature of life. She offhandedly declares that God sometimes makes mistakes, to which her husband adamantly replies that God most certainly does not make mistakes. Portman counters with the Hayflick limit, which is essentially the cellular division life cycle. Our cells are constantly dying but before they do, they reproduce themselves, which is why we are able to stay alive despite having entirely new cellular structures every few months. However, this division is finite, which is why we eventually die. Portman’s point is that the Hayflick limit is a flaw in the system, that cells should be able to divide indefinitely, resulting in everlasting life. This is in fact what happens with cancerous tumors – they divide and reproduce but don’t die, overtaking the host organism. Scientists have grappled with this conundrum for years. 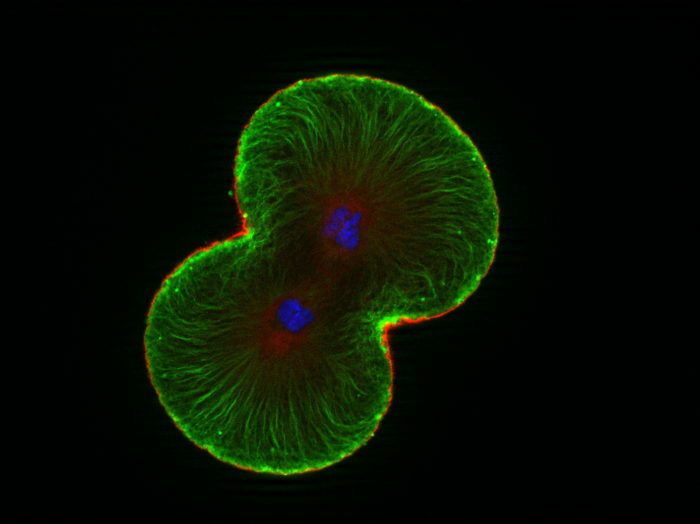 Could we harness the chaotic division of cancerous cells to maintain a controlled burn equilibrium of division and disintegration? So far, no dice, and as a Christian, I don’t believe it will ever happen. Nor would I want it to be possible. Why not? Isn’t death awful? Isn’t it an intrusion into the natural way of things? Shouldn’t life be the default condition? Well, any naturalist will tell you that death is a natural part of life. Every life is predicated on the death of a previous form of life for sustenance. The “circle of life” is not just a song. But let’s go deeper, into the immaterial. When God created the human race, we were not meant to die. We were meant to enjoy fellowship with our Maker forever. When sin entered the world, it broke that fellowship, bringing corruption and ruin into God’s perfect world. Everything material breaks down. However, the soul is not material, and the soul is what really matters. But how could that soul be brought into fellowship with God when it is trapped in a corrupted vessel? The solution was death. Our bodies must die in order that our souls, if saved by God’s grace, could enter into His presence. Death is not a mistake. Death is not wrong or evil. For those who are saved, death is a gift. The suffering and torment that usually accompanies death is a horrible symptom of our fallen world, but it is a necessary passage that we must traverse. Of course, for the unbeliever, death is a curse, and it is a condition that will endure throughout eternity. It is truly a moment to be feared, for it marks the end of the soul’s opportunity to be restored to God’s favor through salvation. The Bible tells us that long life is a blessing from God, but can you imagine the agony of immortality? Why would anyone want to live on this Earth forever? The grandest utopia mankind could hope to achieve is a pathetic slum compared to the glories of God’s kingdom. Since I know that my soul is in God’s hands, I look forward to the day when He tells me I won’t need this fallen body anymore. Let the scientists toil and the writers dream; in the end, death comes for us all. The question we all need to ask is: is it the beginning for us, or the end? I really like this post…I, too, wouldn’t want to be on this fallen world forever. Didn’t Lewis say something along the lines about an intangible dissatisfaction because we truly aren’t made for this world? The agony of immortality is also a commonly explored theme in speculative fiction. Simply for the sale of argument (not because I disagree with the article at all, I completely understand where it’s coming from), if a person is a Christian, then the concept of the End Times must arise. I personally am quite skeptical that it will happen in quite the same way as depicted in Left Behind. Nevertheless, the bible is clear that, eventually, Christ will return and establish the New Heaven and the New Earth. I think it’s a fair assumption that, by that point, everyone will either have died, been raptured, or simply been glorified in some fashion. Regardless, if a person was able to attain true immortality by preventing aging, it would simply be until this world itself ran out of time and eternity began. Considering that pre-flood humans lived to be nearly one thousand years old, and even THAT much time is a mere vapor compared to eternity… I, for one, wouldn’t mind never aging a bit. Think of the books that could be written in that time… Just a thought! I don’t like the idea of dying, and death is sad, but many times people seem to forget that it is a necessity. Even atheists sometimes, who subscribe to a belief system that partially revolves around death (evolution) sometimes look at death as an injustice that God should be blamed for. But regardless of whether theism or atheism is true, death is necessary for our world to function, just as you said. Plants, animals, humans all have their chance to live, survive, and make something of themselves before their demise. The way things are now, life can’t come without death to sustain it. Obviously death is not something to rush toward, and it’s perfectly fair for us to try and delay it and keep other people safe. But I guess I just see death as something people shouldn’t blame God for, even regardless of what happens to people in the afterlife. We humans brought the curse of death upon ourselves. God has gone to great lengths to save us from the full consequences of our folly.